Oukitel Company announced the start of sales of the new smartphone platform Android. Novelty called Oukitel K4000 has two strengths. The first – a strong glass protects the front surface of the gadget, and the second – Battery capacity mAh 4000. According to the manufacturer, built-in battery will last for two full days of active use. Compared to many flagship device Oukitel K4000 is a true “long-lived”. 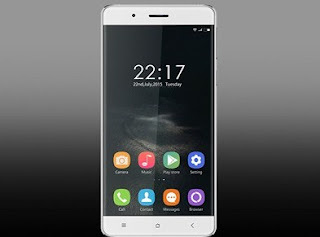 New from Oukitel equipped with 5-inch display with a resolution of 1280×720 pixels, quad-core MediaTek MT6735P clocked at 1.0 GHz, 2 GB RAM and 16 GB of internal memory. In addition, the device has received the two chambers 5 and 13 megapixels, memory card slot and all major wireless modules. Oukitel Company offers to purchase the shares at a special novelty. Starting today and for four weeks Oukitel K4000 can buy at a special price of $ 119.99. At the end of the promotional period, the price of the smartphone will rise to $ 139.99.